China will join neighbours Russia in airstrikes against ISIS in Iraq and Syria, latest reports have claimed. As per DEBKAfile, an Israeli military intelligence website based in Jerusalem, Beijing conveyed to Moscow news of its plans to join the air campaign against ISIS on 2 October, two days after Russia launched the strikes. 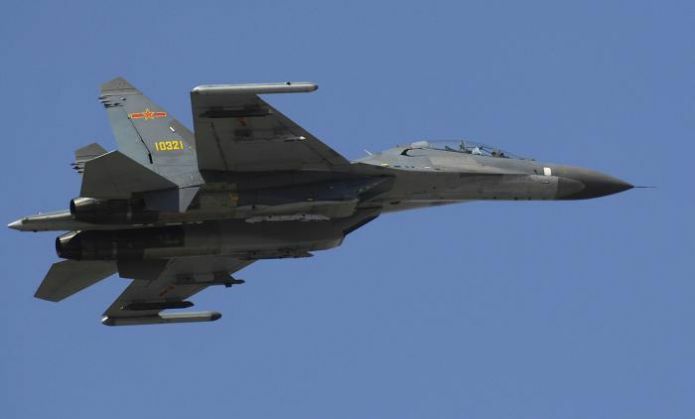 China, which enjoys close diplomatic ties with Russia, will reportedly employ J-15 aircrafts in the operations aimed at flushing out ISIS militants from the large swathes of land controlled by the terror group. To help Russia carry out the strikes, Iraqi authorities have already offered Moscow an air base in Baghdad. The Chinese combat aircrafts will use the Chinese Liaoning-CV-16 aircraft carrier, currently near the Syrian shores, as the base for the operations. This will be the first occasion that China will engage in military operations in the Middle-East. Speaking on the Syrian crisis at the recent UN Security Council meet in New York, Wang Yi, China's foreign minister, had said, "The world cannot afford to stand by and look on with folded arms, but must also not arbitrarily interfere (in the crisis)." Russia is currently engaged in air operations on ISIS-controlled areas in northern Iraq and northern Syria.